Based on the critically acclaimed young adult novels by writer Veronica Roth, Divergent is the first in a trilogy of sci-fi fantasy films hoping to create a similar following and legacy to that of The Hunger Games franchise. Set in a dystopian, post-apocalyptic version of Chicago, society has been divided in to five factions depending on each individual’s personality type and virtues, Abnegation for the selfless, Amity for the peaceful, Candor for the truthful, Erudite for the intelligent and Dauntless for the brave. 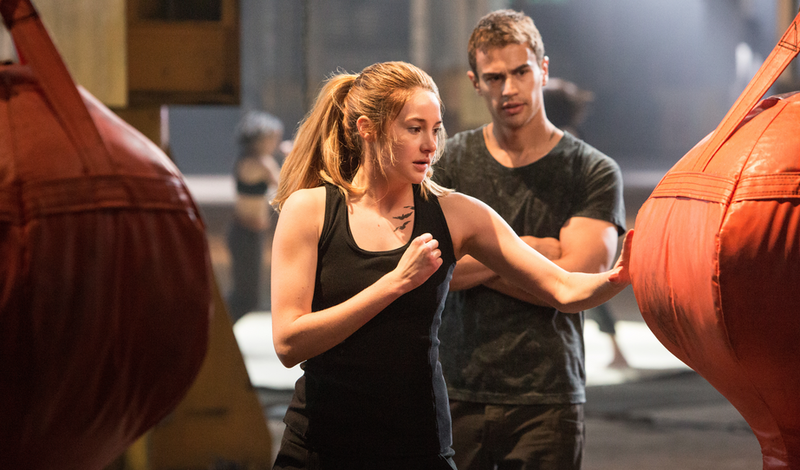 The story begins on the day of aptitude testing for the latest generation of teenagers, and protagonist Beatrice Prior (Shailene Woodley) and her brother Caleb (Ansel Elgort) are ready to be assessed and given an indication of which faction they should choose on the official ceremony the next day. Born and raised in Abnegation, they (and every other teenager) have the opportunity to choose another faction to join, and this choice is final and for life. However, Beatrice’s decision becomes unusually difficult when her aptitude test fails to clearly assign her to a single faction, instead highlighting her potential for any of them, giving her the undesired and much feared by the State title, a Divergent. What strikes me first upon reflection of the film is a great appreciation at the attempt to fit an almost overwhelming amount of information and plot in to the narrative without ever coming across as condescending to its target demographic. Divergent tells in one single instalment what another franchise might take two or more journeys to cover, and it clear to see that the filmmakers trust the intelligence of their predominantly teenage audience to keep up and follow the pace from beginning to end. Indeed, the film feels full to the brim with information and plot progression, but not unnecessarily so. Give or take a few extended battle training scenes that have become the hallmark of these kinds of sci-fi fantasy rebellion stories, the narrative feels tight and without much padding. Almost every sequence feels necessary to the viewer, providing much needed information with regard to the complicated plot rather than engaging in fluff tactics. As is almost always the case with young adult fiction, there are two plot threads that carry the weight of story, one being the larger, overarching societal narrative and the other being an inevitable romantic element. The societal side of the Divergent tale is genuinely a very interesting and unusual one, with the audience finding themselves relating to one the five different factions in a similar way that people like to relate to one of the four Hogwarts houses in the Harry Potter universe. Each faction has their own virtues and faults, and the compelling nature of this society’s separation leads to an engrossing atmosphere of mistrust between groups within dystopian Chicago, breeding resentment and the stirrings of civil war. On the other hand, the romantic subplot between Beatrice and her faction’s instructor Four (Theo James) only serves to slow what on the whole is a fast and thrilling pace. Though Veronica Roth may have had the luxury of time to slowly weave an authentic romance in the novel, the constraints of Divergent’s already somewhat lengthly running time left the speed and credibility of the relationship feeling rather contrived. Comparisons between Divergent and The Hunger Games are inevitable and unavoidable, and I truly believe that the only gap between the two is in the respective quality of their casts. Whilst Shailene Woodley is satisfactorily engaging as protagonist Beatrice, showing all the fight and resilience needed for a character in a story such as this, she unfortunately has the disadvantage of not being Jennifer Lawrence. The universal acclaim for Lawrence in the role of Katniss Everdeen is entirely fair if not a tad sycophantic, it is rare to have an actress of her quality contribute a leading role in a young adult series and her participation, whether one likes it or not, has set an unbelievably high bar for all the actresses following her in similar parts. Woodley carries the weight of Divergent perfectly well, but there seems to be something rather two dimensional to the performance in comparison. Theo James as Four is suitably brooding and handsome, having to do not much more than be a mysterious, dark featured puzzle that both Beatrice and the audience figure out over time. Kate Winslet is an interesting inclusion as Erudite leader Jeanine Matthews, bringing a touch of real star quality to a cast of mostly young and unproven performers. Pleasant mention, though, must be given to Zoe Kravitz, Christian Madsen and Ben Lloyd-Hughes who make up the bulk of supporting characters around Woodley in their chosen faction, producing friendships that the audience can invest in. 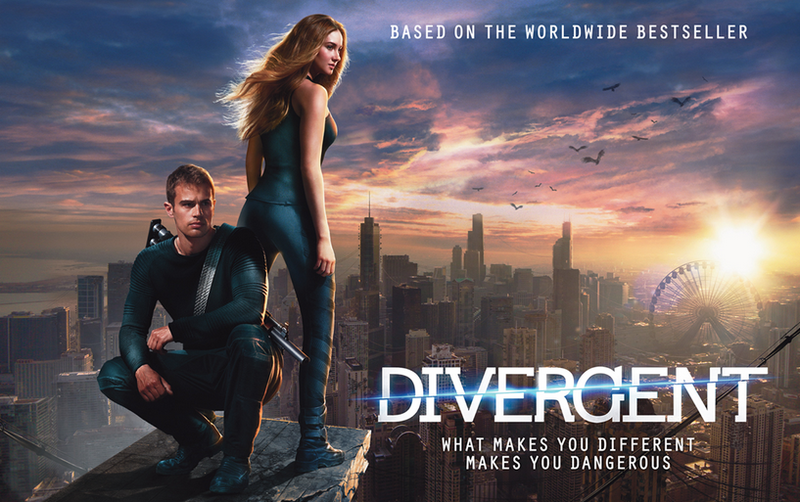 Overall, I found Divergent to be a much better film than some sections of the media are suggesting. The film’s narrative held me captivated throughout and the trust the filmmakers have in the audience to follow the, at times, intricate narrative without having to be completely signposted through is something that a lot of young adult films could learn from. Though the picture may not live up to comparisons with The Hunger Games, there is no reason the two series can not be enjoyed in unison, the more young, strong female leads in cinema the better, whether you are a multiple Academy Award nominee and winner or an actress with fewer credentials but just as much passion for the role. Nice! I am actually really excited to learn it wasn’t a flop because, though I’ve never read the book (and have no real desire to), this film always looked doable to me. I’m totally with you on this. Based on the reviews I expected it to be dire but I was pleasantly surprised. I agree with the issues you laid out but overall it was a decent interpretation. very apt comparison between Lawrence and Woodley. The last sentence was spot-on.